Exceptional Seaver rookie which boasts virtually GEM MINT corners and completely pack fresh surfaces throughout. Almost dead centered with bright white borders and stunning print for the issue. 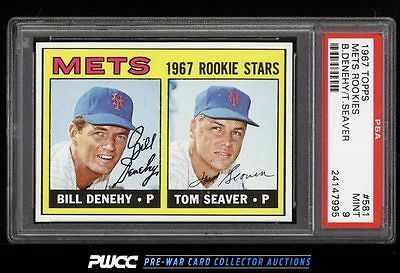 This card is a rock star from every angle and represents the finest this hobby has to offer in terms of investment from the 1960s. One of nearly 20,000 cards, lots, and sets up for bid in our 7th Auction of 2016. Click on the link above to view the other PWCC auction lots.